The growth in eCommerce is driving change in transportation and delivery companies. Online shoppers increasingly expect more efficient and predictable deliveries of their vendors. 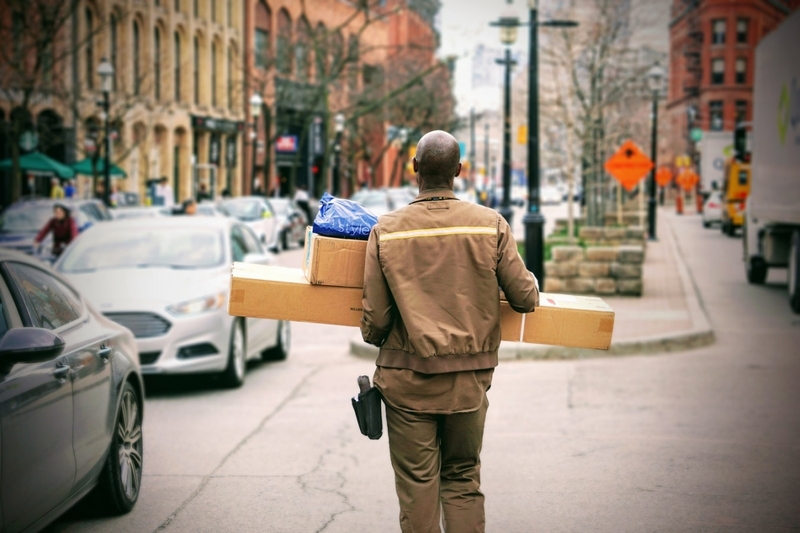 In most cases, such as retailers or etailers, these growing expectations, including those for same-day delivery are being managed by logistics delivery partners. The end result is that eCommerce consumer demand is a major driver of change in the last mile logistics industry. Last mile delivery is a transportation industry term that refers to the last part of the supply chain. In the case of a home shopper it refers to that part of the delivery process where goods are picked up at a delivery warehouse and delivered to the person’s home. Last mile delivery is exploding. In 2016, $55 – $65B was spent on last mile delivery (ATKearney). More to this point, 50% of UPS’ $35 billion U.S. domestic parcel deliveries are direct-to-customer for eCommerce orders (McKinsey). Based on research, the eCommerce market is currently valued at $370B. Sales via eCommerce currently account for about 8.5% of total retail sales (Forrester). Revenues from eCommerce will grow to 16% of entire U.S. retail by 2022. Logistics operators are transforming operations in order to accommodate this incredible growth. Key to these transformations are new innovative technology tools. Companies that use last mile logistics providers, as well as the providers themselves, are continually faced with the business challenge of providing the fastest and best possible delivery options at the best possible price. In fact vendors, such as Amazon, are using delivery as a key competitive differentiator. The depth of this challenge comes into sharper focus in light of recent research by McKinsey & Company. The firm concluded that 25% of people in America, China and Germany are willing to pay extra fees for same-day delivery while 5% would pay for predictable timed delivery. In contrast, the balance, 70% would not agree to pay more regardless of how long it took for their deliveries to arrive. As a result, the pressure is on the delivery industry to deploy innovative new technologies that lower the cost of operations and improve the customer’s delivery experience. The logistics industry is rife with opportunities to apply new technologies in order to capitalize on eCommerce growth. One such opportunity, available today, is in applying computer software to replace manual and/or semi-automatic processes. Cloud-based logistics management tools offer many avenues to help logistics operators to increase productivity, improve efficiencies and as a result lower overall operational costs in order to respond to market demands. A third-party logistics provider contracted to a globally-known on-line retailer, became 31% more efficient at distributing and allocating delivery orders to drivers. The previous method involved manually sorting, parsing and distributing thousands of delivery orders to delivery drivers. By electronically integrating their logistics management system with the customer’s ERP systems, using industry standard API’s (Application Programming Interfaces) and then automating the distribution of delivery orders to drivers smartphones, the firm was able to make more deliveries sooner. The knock-on benefit of this was that the retailer was able to offer improved delivery options to online shoppers which in turn generated more business.